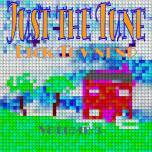 Click underlined tunes to hear a sample. 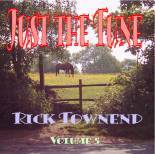 The "Just The Tune Series" by Rick Townend contain a collection of some the best known and most loved traditional tunes in American bluegrass and old-time music. In fact, you will be very hard pushed to find a bluegrass or old-time music "picking" session at which one or more of these tunes were not played. Despite having been recorded by many different artists over the years, until now it has been difficult to find versions suitable to learn from,.or play along to. They are often too fast, in "difficult" keys, not in concert pitch, over decorated or have other defects that make it difficult to use them a source for tune learning. 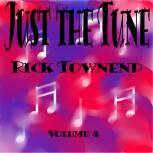 These albums, for the first time, bring together all the old favourites in one collection. They are recorded and arranged to make them a pleasure to listen to, and at the same time, making them easy to play along with, and to learn from. Each tune is repeated several times (most tracks are about 4 minutes) the first repeats emphasize the tune in a simpler from, and as the track progresses more decoration and instrument leads are brought in to demonstrate the tune might be played on different instruments. The tunes are recorded at moderate speed to make listening and learning easier. 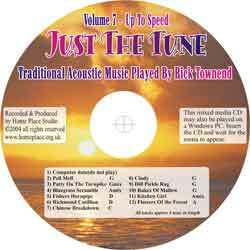 (Volume 7 is faster, being at a medium session speed) The instruments used are Banjo (bluegrass and old-time styles), Guitar (lead & rhythm), Mandolin, Fiddle, Autoharp, Dobro, Dulcimer and Bass. Not all instruments are used on all tracks. 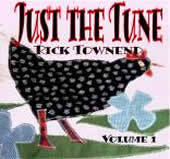 The "Just The Tune" series are supplied on mixed media CDs. This means that as well as being playable in your normal Hi-Fi or personal stereo, they can also be played in your Windows based PC. When played on a PC you can view on screen or print out, standard music notation scores and instrument tabs for each tune. Tabs are provided for Banjo (5stringG), Dobro, Dulcimer, Guitar (open), Guitar (capo), Mandolin, and Tenor banjo. The tabs show the string and fret for each melody note. 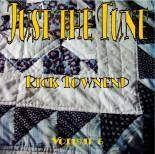 The printed tablatures from the Just the Tune CDs are "royalty free" for non-commercial use. So you can print out or copy the tab sheets to give to friends, students etc (handy if you're a music teacher). However, you may NOT make copies of the CD or it's files. Please see my order page.